An amazing fraud by an architect of government climate policies. WSJ.COM 12/19/13: Last month we told you about John Beale, the Environmental Protection Agency employee who bilked taxpayers out of almost $900,000 by pretending to be a secret agent. Telling EPA colleagues that he was a CIA operative, Beale was paid for long absences while on imaginary missions for "Langley." Now there is a disturbing new question about John Beale that goes to the heart of the EPA's mission. What was he doing when he actually showed up for work? In September, Beale pleaded guilty to theft of government property and agreed to pay $886,186 in restitution and to forfeit another $507,207. On Wednesday he was sentenced to 32 months in federal prison. The Beale affair is a classic story of government waste, fraud and mismanagement. But it is much more than that, because Beale was no low-level bureaucrat, unknown to senior officials and operating in the depths of the agency. He was among the EPA's most senior, most highly paid officials, one entrusted with formulating the agency's most controversial policies. Thus the consequences of his EPA tenure go far beyond the specific fraud for which he will now go to prison. 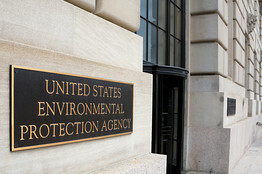 From 1989 until 2013, Beale was employed in the EPA's Office of Air and Radiation (OAR), which develops policies and regulations related to air pollution and climate change. It is the most powerful office within one of Washington's most powerful agencies, given the costs it can impose on American business and consumers. And for much of his time Beale was senior policy adviser. According to his plea agreement, his specific duties included assisting the head of OAR "in planning, policy implementation, direction, and control of EPA programs." From 2009 until 2013, the head of OAR was Gina McCarthy, who is currently the EPA Administrator. So not only was Beale within view of senior managers as he pulled off his astounding fraud, he was directly managed by the woman who now runs the place. And if there was any doubt about how influential John Beale was in formulating key EPA policies, it seems to have been put to rest by the trade publication E&E News. Via a Freedom of Information Act request, E&E News obtained a collection of agency emails related to Beale. At 10:44 a.m. EST on December 3, 2010, Ms. McCarthy wrote to her staff at OAR and reported: "I am pleased to let you know that John Beale will be resuming his role as the Immediate Office's lead for all of OAR's international work." She added: "Most of you know John well as he has been a very large presence in much of OAR's work for over 20 years. In addition to lead roles in the 1990 Clean Air Act Amendments, the early implementation of the Act, the development and negotiation of the National Low Emission Vehicle Program, and the 1997 [National Ambient Air Quality Standards] review, John served as OAR's lead for international work from 1990 thru [sic] 2005. Beginning in 1999, John managed OAR's work on climate change as well as all other international work." Ms. McCarthy further gushed that "I am very excited to finally get the opportunity to work closely with him. In addition to the international work John will continue to work on various special projects for me." There's more. In an odd conclusion to that December 2010 staff bulletin, Ms. McCarthy wrote that Beale "is supposed to be sitting in [office] 5426B of Ariel Rios North, but good luck finding him. We are keeping him well hidden so he won't get scooped away from OAR anytime soon." Few CEOs in private business could keep their jobs after lauding and entrusting with key responsibilities the perpetrator of a fraud against the company. Beale's attorney John Kern says his client "has come to recognize that, beyond the motive of greed, his theft and deception were animated by a highly self-destructive and dysfunctional need to engage in excessively reckless, risky behavior." Mr. Kern adds that Beale was motivated "to manipulate those around him through the fabrication of grandiose narratives" because of "his insecurities." Are we now supposed to believe that in contrast to his other lies, the work Beale chose to perform at EPA is the product of careful and honest analysis? What Congress needs to examine is whether the policies that the head of EPA says were shaped to a large degree by Beale were also based on fraud. Oh, and what Gina McCarthy knew or suspected, and why she so admired a fraudster.